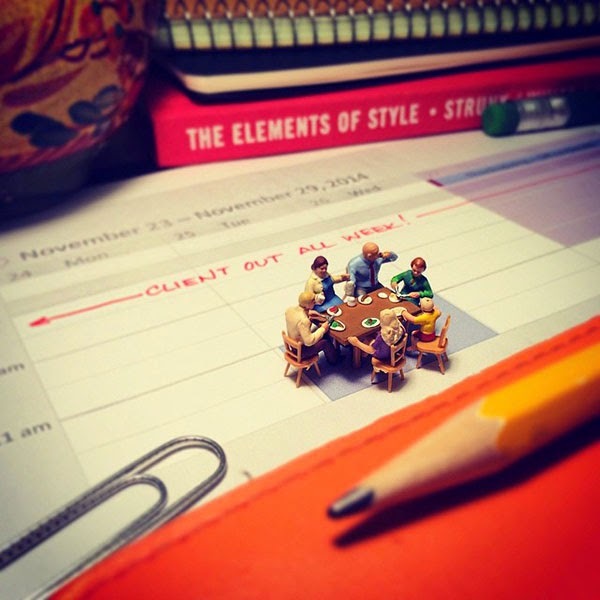 What do you do when you work for an advertising agency and you're stressed out? 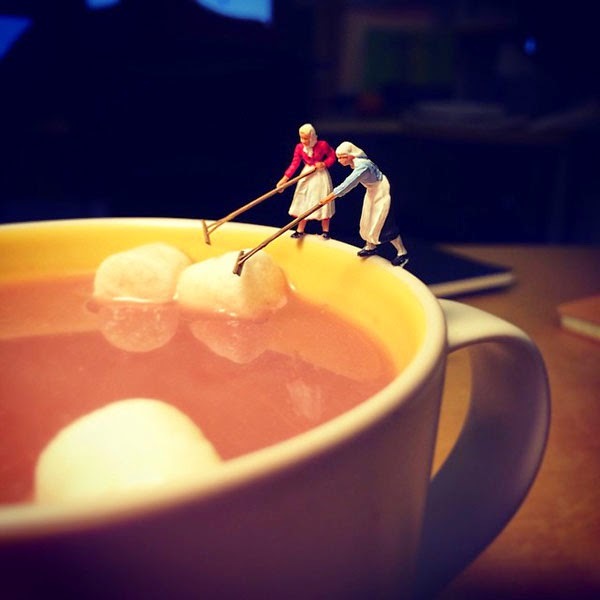 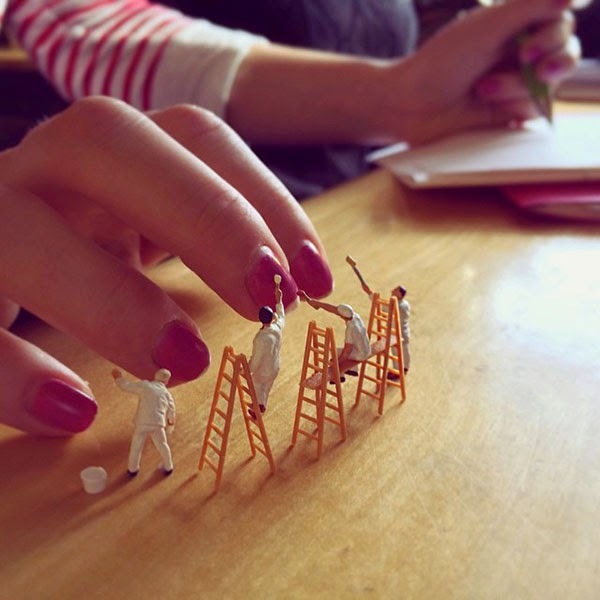 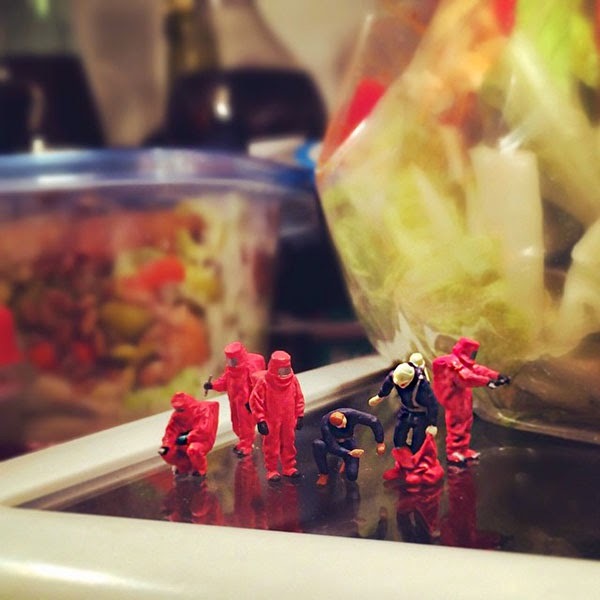 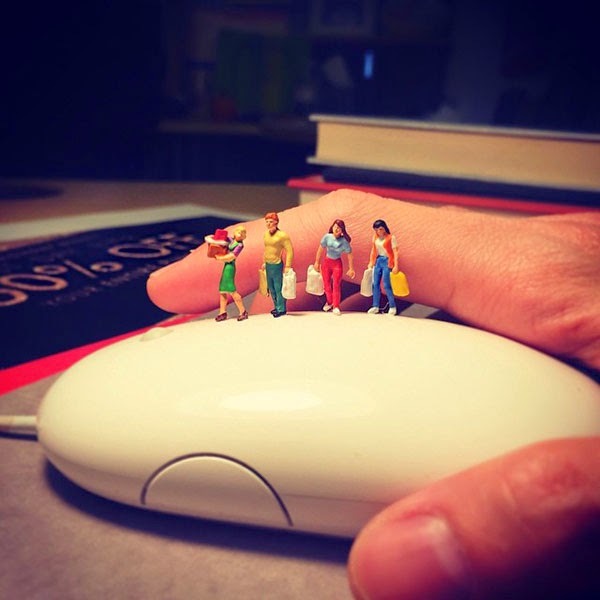 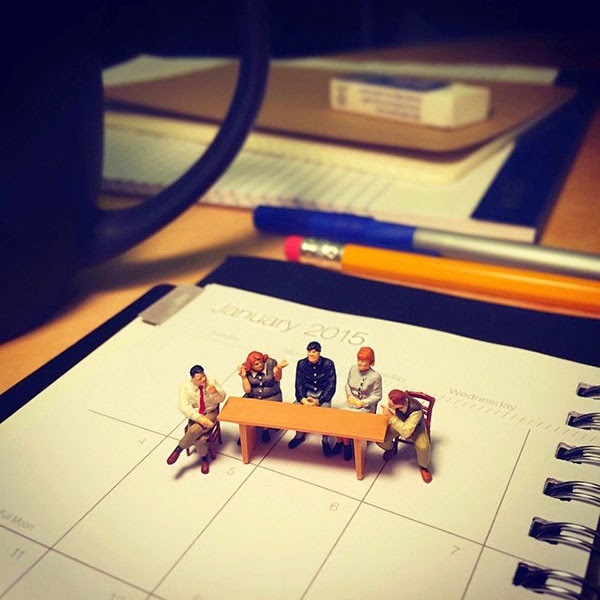 Derrick Lin, a strategist, decided to do something about it by documenting the moments they go through as they try to deal with the frustrations, struggles, and office life in general using miniature figures assembled on his desk. 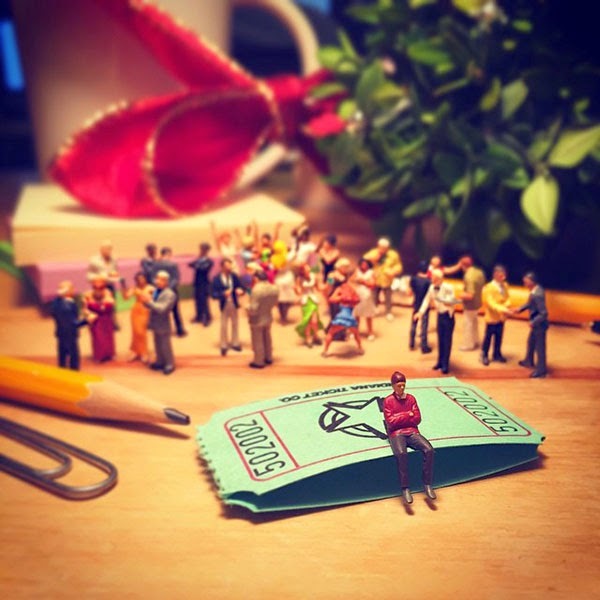 As many people may know, the life at an ad agency is always filled with stressful situations, brainstorming, head-scratching, deadlines, and clients. 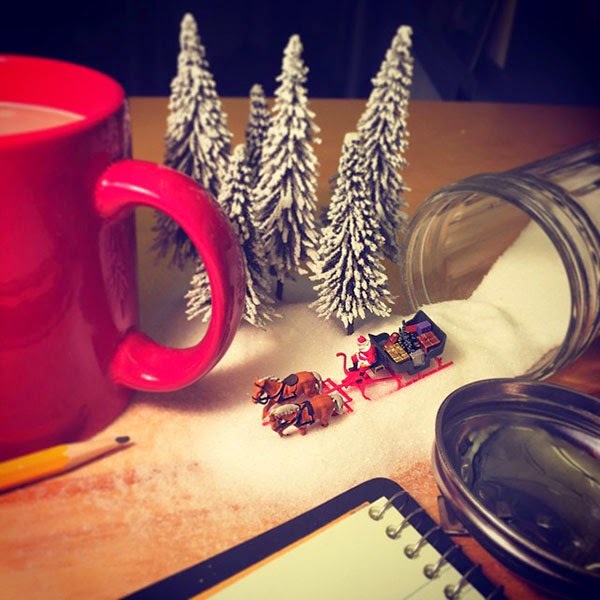 Earlier last year I decided to try to cope with my daily stress with a little exercise in creativity. 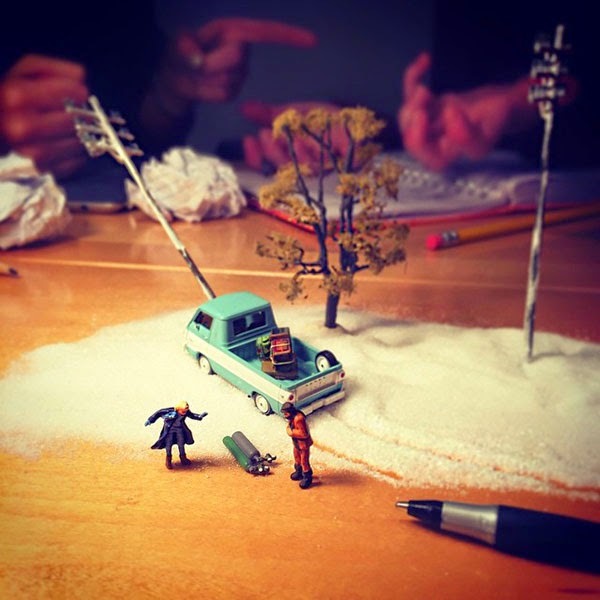 I began telling the little stories and moments of our frustrations, struggle, escape, or ridiculousness on my Instagram and Tumblr accounts using miniature figures. 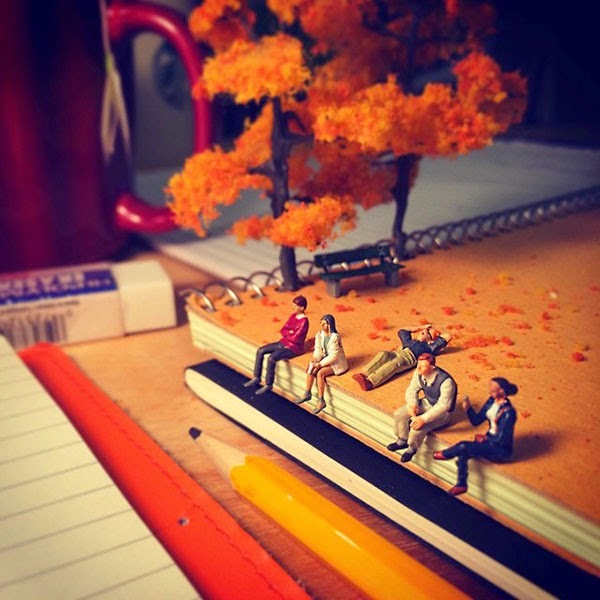 With the contrast of the figures and the reality and a little humor, our little moods and emotions that we hesitate to express manifest on my desk.